After what feels like an absolute eternity, British GT thankfully returns to the track this weekend with the Championship's annual pilgrimage to Spa Francorchamps for the fifth round of an eight round season. Having to cast our minds way back to early June for the last round of the Championship from Silverstone, the six week break has of course not been all rest and relaxation for some with many of the Championship's Pro and amatuer drivers featuring in other European and World Championship events including the 'big one' at Le Mans. 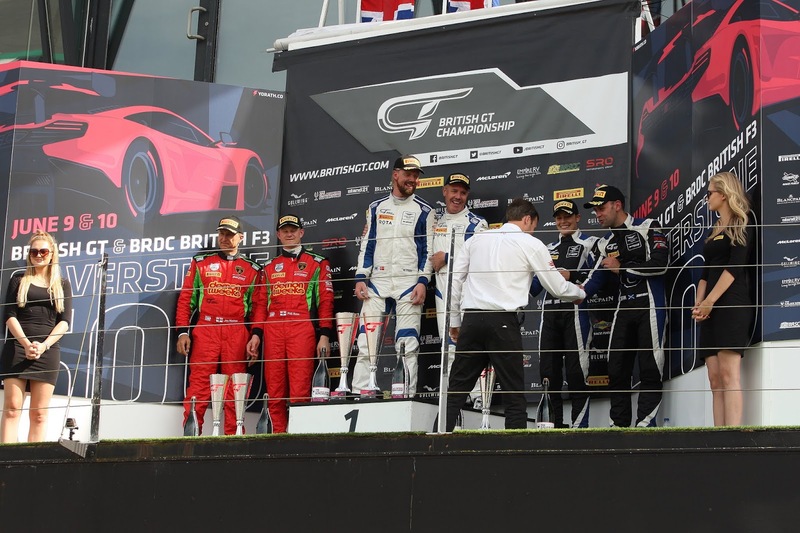 With the BGT weekend also being the catalyst for the SRO's Speed week from Spa, we shall also see several of the teams and drivers will also compete in the Total Spa 24 next weekend as well as the GT4 European Series support event that runs in support of BGT this weekend. Again looking back, we will remember that Silverstone was another good race for the Aston Martin Racing Customer Team contingent with the #11 TF Sport car of Mark Farmer and Nicki Thiim taking the overall honours by the end of the three hour race with Optimum's Flick Haigh and Jonny Adam hanging on the third in their #75 Vantage GT3. Success continued for the marque in the GT4 class with Academy Motorsports Will Moore and Matt Nichol-Jones claiming the final step on their class podium in the final laps. 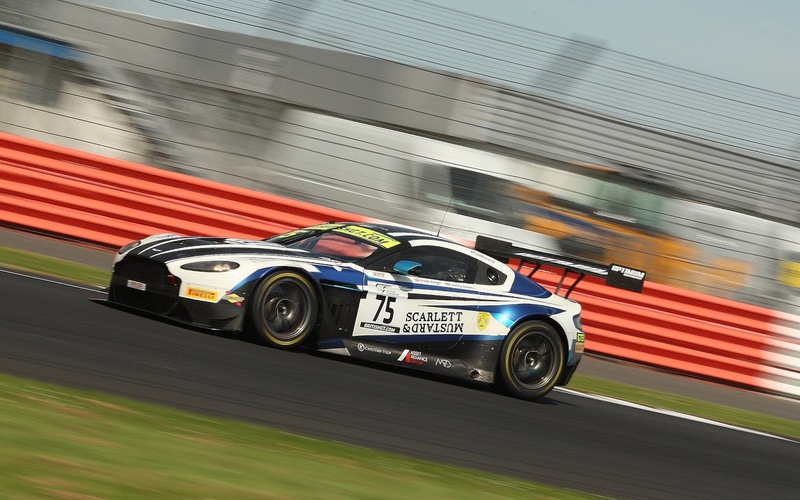 The summer break has not gone well for the Worcestershire team having had their #61 car as used Jan Jonck and Tom Wood written off in an accident at the Aston Martin Racing Festival at Le Mans just a week later - a car that had also just had a brand new engine installed for the Silverstone round of the British GT Championship. 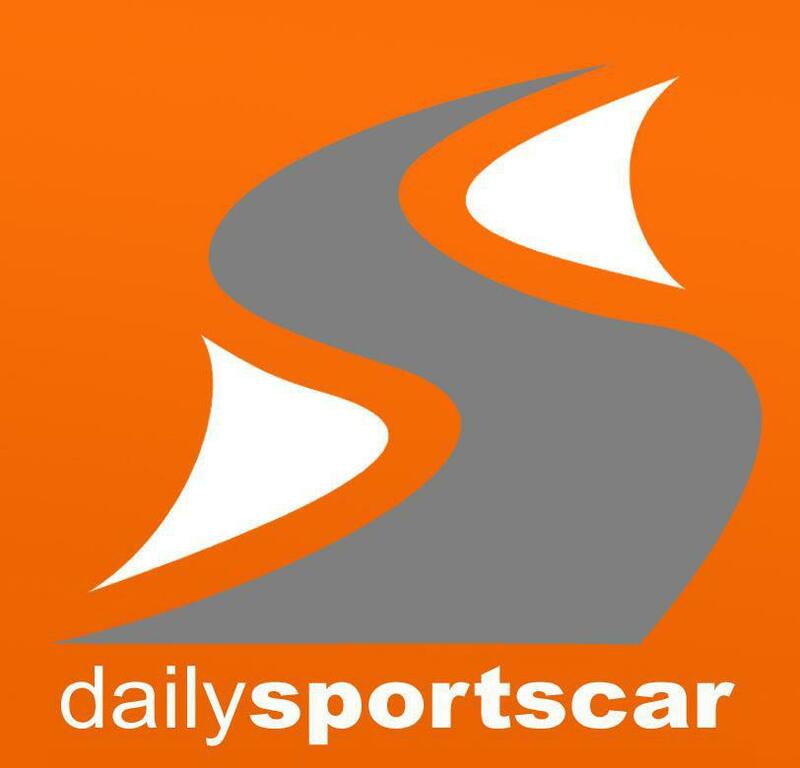 We believe that the car the pair will be racing at Spa is a platformed cross hired from another team - who we don't know. Despite the Provisional Entry for the GT4 European Series stating two Academy cars we believe that this has already reverted back to just one for Fiona James and Matt Nichol-Jones. 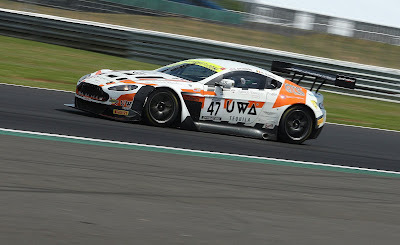 A couple of weeks ago both TF Sport and the Optimum Motorsport cars competed in the Spa 24 Test days in order to rekindle their acquaintances with both the car and track with each of their respective AMR factory drivers in attendance (Thiim, Sorensen and Adam). 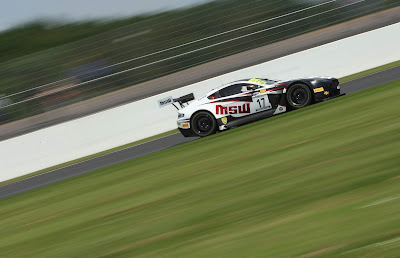 British GT new comers - Jetstream Motorsport will be looking for a vast improvement in personal performances after inadvertent contact with Graham Davidson aboard saw their Silverstone race destroyed with both damage and a drive through whilst in a very competitive P2 position. We all saw from that just how disappointed their AMR works driver Maxime Martin was when that incident took place on track! 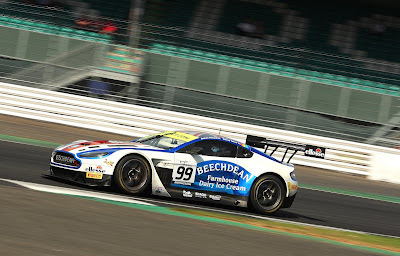 Beechdean AMR have perhaps been the quietest out of the bunch with little/no testing (that we know about at least) taking place over the summer break. 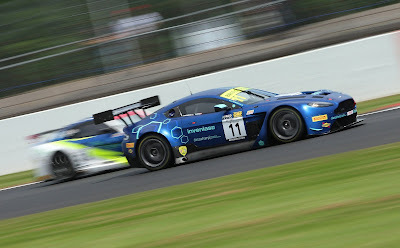 The team have disclosed that they have made various technical changes to their car for Spa and only time will tell how effective they are for drivers Andrew Howard and Darren Turner after their unusually uncompetitive Silverstone. 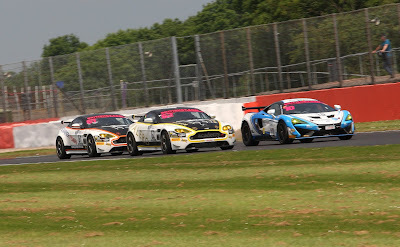 Perhaps the most frustrating thing of all is that now the cars are back on track on one of the most challenging racing circuits in the world there will be NO live stream of the race at all! 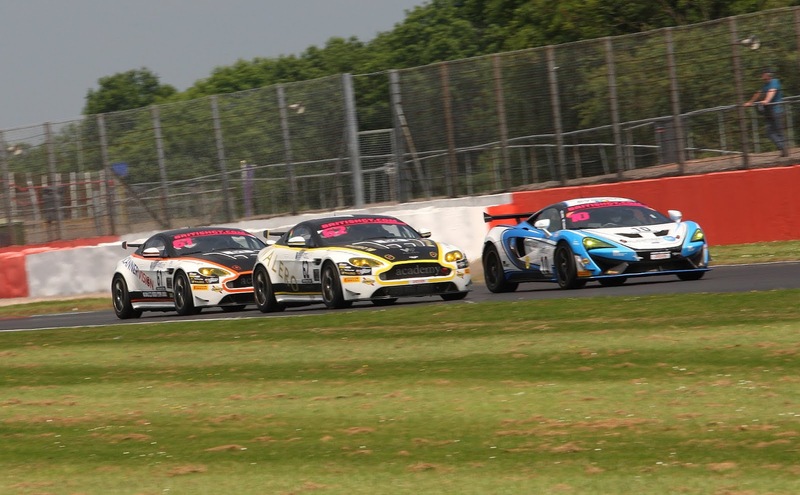 In previous years we have had to 'make do' with circuit cameras and periodic cameras installed for the Spa 25 Fun Cup event that historivcally started after the BGT race but that has already been run this year so we don't even have that. Considering cameras are still being installed as we speak for next weeks racing programme it wouldn't be too hard for the SRO to cover this national championship event with the continued TV coverage it deserves. That is our only continued criticism of what is otherwise a superbly organised championship. Free Practice has already been completed for today with a second session and Qualifying tomorrow. The start of the two hour British GT race takes place at 13:40hrs (local) on Sunday. Lets get back to racing!